This new retro-modern home office bathroom is on the second floor, adjacent to three rooms used for in-home offices. It was designed to be low maintenance and visually appealing, features coordinating porcelain tiles for shower walls, wainscot, and flooring. The wall-hung lavatory allows installation at the most convenient height. 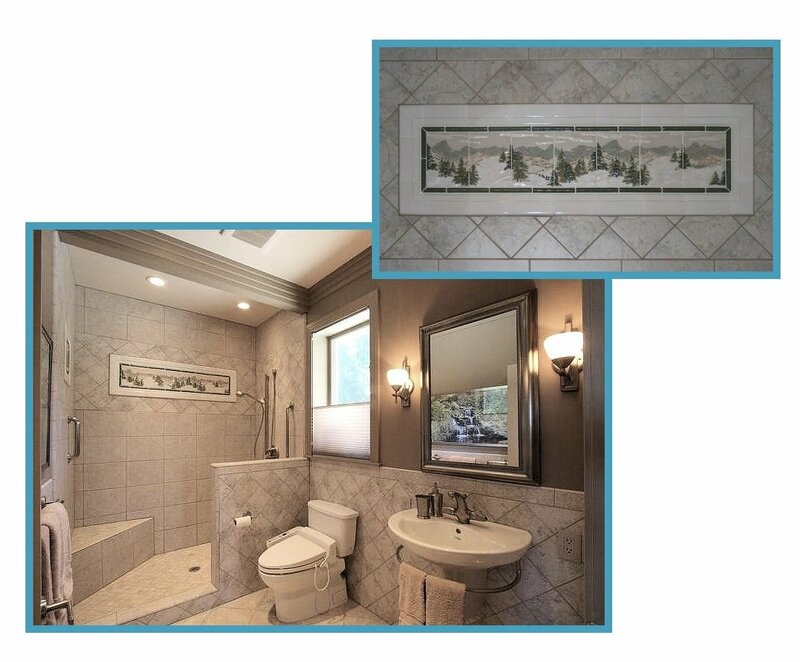 The bathroom includes a toilet and washlet, and the room is enhanced by a low-relief framed tile mural.